The blue wave has come and gone. Thanks to your hard work and your courage, we live to fight another day. Sheboygan County held, but we took some serious casualties in the state: Scott Walker, Rebecca Kleefisch, Brad Schimel, Leah Vukmir . . . , people who had helped to inspire the state and nation by showing the way out of the swamp. They showed that by controlling spending, reforming regulation, and cutting taxes, a state that was once part of the “rust belt” with 70,000 businesses rushing for the exits could become one of the hottest economies in the country, its greatest problem being that of finding enough workers. The contrast between today’s booming economy and yesterday’s ACT 10 Madison mobs really can be boiled down to three words: “Jobs not Mobs.” Few would have thought that Walker, the architect of the Foxconn deal, could lose to the caretaker of the public school monopoly. For that matter, who would have believed that so many people would vote for a senator who wants to put them into a VA style government health care system? Trump freed veterans from such a system; Baldwin was fighting to put all of us into one. The Madison / Milwaukee machine, however, was so bent on “getting Walker” that they were willing to kill the economic goose that was laying their and our golden eggs. Pot, even its referendums, will do that. A majority of Sheboygan County voters, like those in most other counties in Wisconsin, really do get it and weren’t taking any chances. 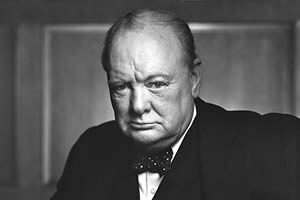 Churchill may have been voted out of office by the ungrateful, complacent British public after he led them to victory in World War II, but that wouldn’t happen here, we hoped. The signs in farmers’ fields along our highways and the cheerful beeps and thumbs up from tradesman’s pickups as they passed our corner rallies signaled that they agreed. We turned out to vote in droves. We signaled our appreciation for the work of tireless Glenn Grothman by sending his challenger Dan Kohl back to his Washington lobby. We also did the right thing by sending Senator Devon LeMahieu and Assemblymen Terry Katsma and Tyler Vorpagel back to Madison to deal with the sludge left behind by the blue wave. Most counties also enthusiastically voted for Scott Walker, Rebecca Kleefish, Brad Schimel, and Leah Vukmir, but it wasn’t enough to beat the Madison / Milwaukee machine. We cannot comfort ourselves by believing that we still have the protection of the State Constitution because this, like the U.S. Constitution itself, is up for grabs. Liberal courts have a dangerous habit ignoring those dead old documents. 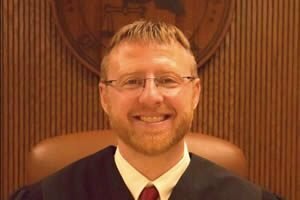 This election knocked out conservative AG Brad Schimel, and in the previous election the Madison/ Milwaukee machine easily took down conservative Judge Screnock, who advocated for a written constitution, the kind that needs to be amended by our representatives, unlike the “living” kind that liberal judges can make up as they go along. Now, the machine that has the power to take down Scott Walker despite our booming economy, Brad Schimel despite his law enforcement endorsements, and Judge Screnock, has its eye on the big prize, the power of the Wisconsin Supreme Court. We saw what the left was willing to do to Judge Kavanagh. The same tactics will be on display in Wisconsin this April when they go after the conservative candidate for Wisconsin’s Supreme Court, Judge Hagedorn. Rather than breathing a sigh of relief that these grueling midterms are over, each of us must act to make the name Hagedorn a household word. We cannot have liberty and justice for all without the protection of the law. The partisan elections are over, but conservatives now need to band together to save our state and our country from the same kind of leftists who so quickly transformed Venezuela from one of the safest and most affluent countries in the world to the least.